Our quick guide to Shobana Jeyasingh’s reimagining of the India-set classical ballet La Bayadère. La Bayadère is a key work in the classical ballet repertory. Choreographer Marius Petipa (who was also involved in the first productions of The Sleeping Beauty and The Nutcracker) created La Bayadère for the Mariinsky Ballet in 1877, to a score by Ludwig Minkus. He used a pre-existing libretto by Théophile Gautier, who himself had based the story (very loosely) on a play by the 5th-century Indian poet Kālidāsa. 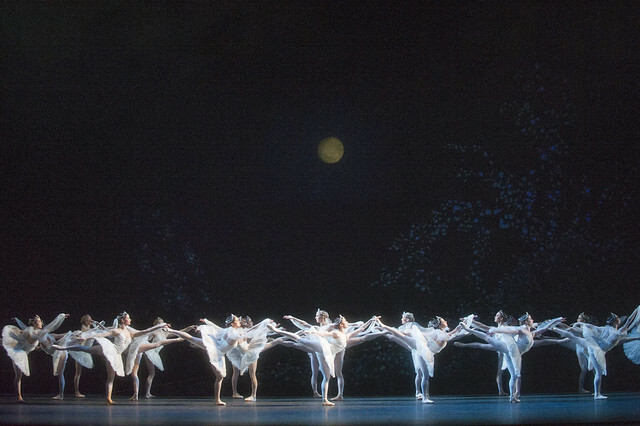 The ballet’s most famous moment is the ethereal ‘Kingdom of the Shades’ scene, in which the intoxicated Solor sees a seemingly endless sequence of white-wreathed Shades. 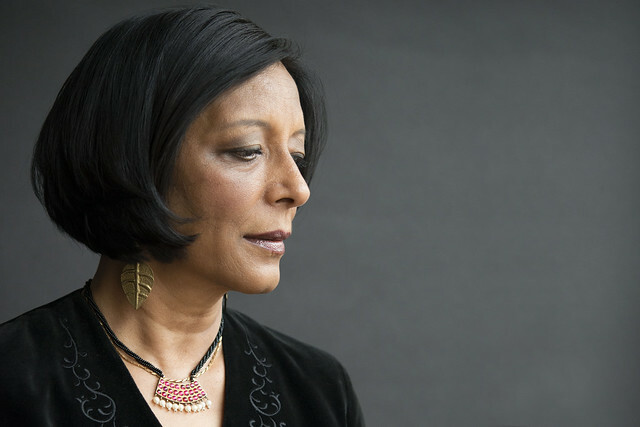 Choreographer Shobana Jeyasingh has been a leading figure in British contemporary dance for more than twenty-five years. Her works fuse her early training in the Indian classical dance Bharata Natyam with a wide variety of dance styles to create a distinctive choreographic language, crafted collaboratively with her dancers. Jeyasingh’s inquiring, imaginative works seek ways to use dance to explore ideas of identity and self-image. Jeyasingh is in equal parts fascinated and perturbed by La Bayadère, particularly its many historical infidelities – the animalistic fakirs, the notable absence of realistic Indian gesture and the Turkish-influenced movement of the temple-dancer herself. In her research of the era that produced the ballet she came across the fascinating story of five Indian temple dancers who visited Europe in 1838. Gautier was one of the many who flocked to see them, writing, ‘They were remote, splendid, fairylike, fascinating’. Jeyasingh has weaved these ideas together to create a multi-layered work that incorporates stories of the ballet and the real 1838 temple dancers within a contemporary setting. Composer Gabriel Prokofiev has worked with Jeyasingh before, providing the score for her Strange Blooms. For Bayadère – The Ninth Life he uses Minkus’s score as an electroacoustic source, manipulating the recording to produce sounds that are sometimes distant from Minkus, sometimes familiar. Through time-stretching the music Prokofiev discovered a quasi-Indian sound – a further level of Minkus’s own attempts to create Indian-inspired music. Electronic sound intermingles with piano, percussion and strings to create the world of Théophile Gautier and his fantasies of the East. Distorted music from the ‘Kingdom of the Shades’ scene provides an important returning theme throughout the work. Bayadère – The Ninth Life runs 25–8 March 2015. Tickets are sold out, but returns may become available.